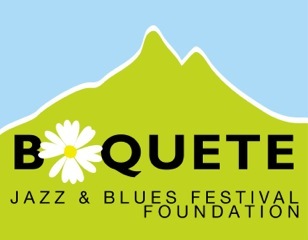 The Boquete Jazz & Blues Festival is an annual non-profit, community-based event that is organized and run exclusively by unpaid volunteers. It is not a commercial event. The main activities are the Boquete Jazz & Blues Festival, and the support of musical education in local schools as well as giving scholarships to talented students. Until 2011 the festival was a pure jazz event. In 2011 we decided to rename the festival 'Boquete Jazz & Blues Festival' in order to reflect the decision to bring the Blues to Panama. The 2012, 2013, 2014 and 2015 festivals featured top-class Blues acts in addition to Latin Jazz bands from Central and South America and elsewhere. They were rated to have been the best music festivals that ever took place in the Chiriqui highlands attracting visitors from all over Panama, Costa Rica, the US and even from Europe! Our vision is to firmly place Boquete on the national and international map of Jazz and Blues events that are not to be missed. Our mission is to promote the musical arts and tourism in the Chiriqui highlands and beyond by attracting growing numbers of Panamanian as well as international music-aficionados to this beautiful area. Our dedication is to support musical education at schools in the Boquete area. To this end 100% of the festival profits go to our Music for Schools program to buy musical instruments and to improve musical education in schools.